Congratulations to IIA athletes on their Sectional Success! 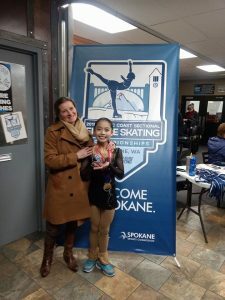 Congratulations to our Intermountain Interclub athletes and coaches who proudly represented us at the 2018 Pacific Coast Sectional Championships this past weekend in Spokane, WA. Good luck to those athletes who advanced to the U.S. Figure Skating National Championships in San Jose, CA!! We are proud of you all! This entry was posted in Announcements on November 29, 2017 by Erika Roberts. Good Luck to our Intermountain Interclub athletes at Pacific Coast Sectionals in Spokane! This entry was posted in Announcements on November 2, 2017 by Erika Roberts. Save the Date for the 2018 Intermountain Classic hosted by MSBFSC! Murray Silver Blades FSC will host the 2018 Intermountain Classic at County Ice Center February 1-4, 2018. Registration will open soon on Entryeeze.